Destiny 2 won’t have content droughts, even if Activision has to throw resources at Bungie all day. Destiny 2 is going to avoid the long, dull gaps between DLC packs and expansions which plagued the first game, if Activision is to be believed. Speaking to GamesIndustry, Activision CEO Eric Hirshberg copped, again, to Destiny’s content drought problems. “I have not been happy with the cadence [of new content]. 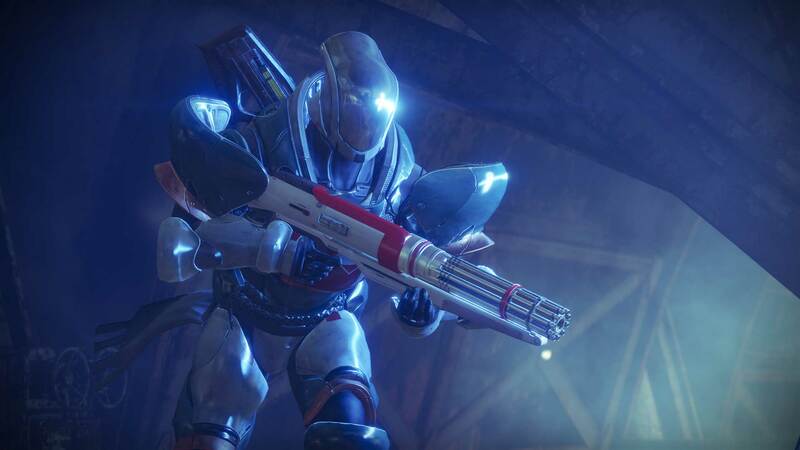 We got a lot right with Destiny 1, but one of the things we didn’t do was keep up with the demand for new content,” he said. The solution? Activision has rounded up some of its internal studios and put them at Bungie’s disposal for Destiny 2. “One of the things you’ll see post the launch of Destiny 2, is that we have got additional AAA developers from inside the Activision ecosystem working with Bungie on Destiny content, including Vicarious Visions and High Moon. That will allow us to keep an even more robust pipeline of content in the ecosystem,” Hirshberg said. Elsewhere in the interview Hirshberg compared Destiny’s release pattern to Call of Duty’s. Call of Duty has an annual release cycle, but multiplayer games can last for several years no, as we’ve seen with titles like Black Ops 3 remaining popular even with two further releases in the interim. Destiny’s persistent universe is better suited to this new model of multi-year lifespans, and so moving from expansions to a true sequel is a risky move. “Destiny 2 is a sequel, a hard reset, and that choice was not a casual decision,” Hirshberg said. The executive said that annual releases give developers a chance to bring in new ideas regularly, which isn’t possible in persistent universe games – but that he thinks Destiny 2 may represent the first step in establishing a new and possibly equally successful strategy. Destiny 2 releases in September for PS4 and Xbox One, with PC release to follow in October. Vicarious Visions developed the PC build of Destiny 2. You can learn much, much more in our Destiny 2 guide. The original Destiny released in September 2014, and was succeeded by two DLC packs and two major expansions, as well as semi-regular live events. Bungie got better at keeping things lively as the years rolled on, but it’s been pretty quiet this year and we’re excited to see how things improve with Destiny 2.